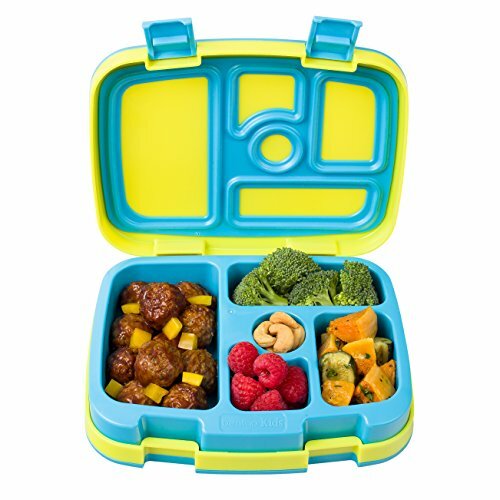 - IDEAL PORTIONS FOR KIDS: 5 practical compartments portioned perfectly for a child’s appetite (recommended for ages 3-7). - DURABLE CONSTRUCTION: Drop-proof, rubber-coated edges and sturdy design are ideal for active kids on the go, all made with BPA-free and FDA food-grade materials. - LEAK-PROOF TECHNOLOGY: Keeps meals and snacks fresh and mess-free during transport – Includes 2 kid-friendly latches that are easy for small hands to open and close.